As I see her sitting next to a window, reading a book, I could notice the silence that surrounds her. A wide open classroom with bare walls, chair, table and a blackboard. Suddenly, I realize that when she looks at her classroom she can see the same dull image of "Just another room" in her school. What motivates her to go inside and spend 6 hours of her day just with that book she reads everyday? 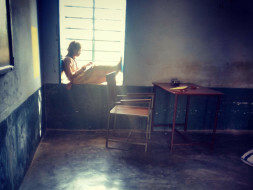 "Mausam"- Just another child like many others who study in a dull classroom, painted black and white. This little campaign is an attempt to bring a streak of colors in their life. 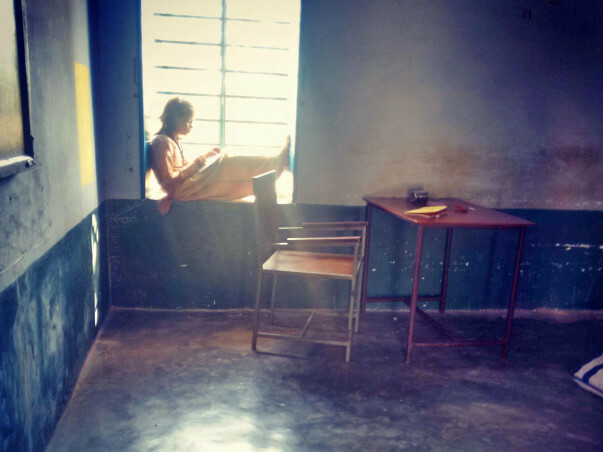 We intend to make these dull and drab classrooms a place that children would LOVE to be in. For this, we would be creating innovative wall and floor designs in a classroom that would be easy to use. The material will aid self- learning capabilities of children. Government schools do not have sufficient financial support that can create such interactive classrooms and hence we need your support in this endeavour. Our target is to cover at least 5 schools (in coming two months) with this amount. Your small contribution can go a long way in igniting that spark of curiosity and creativity. These young and zestful minds have the potential to create wonders, if given a chance. Join us in this project that aims to bring joy and spread the rays of hope! Good activity for rural schools students.